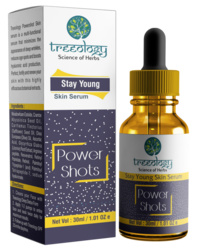 Our product range includes a wide range of vitamin c gel serum, absolute acne & pimple repair power shots skin serum, white & glow power shots skin serum, uv next sun protection lotion, anti aging serum and anti mark serum. Concern: Exfoliate away the pore-clogging sebum and dead skin cells known to cause acne or pimple breakouts. •Manuka (leptospermum Scoparium) Leaf Oil, Holy Basil Leaf (ocimum Sanctum) Extract, Neem Leaf (azadirachta Indica) Extract , Tea Tree (melaleuca Alternifolia) oil, Hamamelis Virginiana (witch Hazel), Salix Alba (white Willow) Leaf Extract, Citrus Aurantium Bergamia (bergamot) Fruit Oil, Base Q.S. 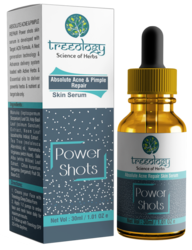 •Absolute Acne & Pimple Repair Power shots skin serum is developed with Target ACN Formula, A Next generation technology & Advance delivery system loaded with Active Herbs & Essential oils to deliver powerful herbs & nutrient at target site only. •Glycyrrhiza Uralensis (licorice) Root Extract, Panax Ginseng Root Extract, Morus Alba (mulberry ) Extract, Curcuma Longa (turmeric) Root Powder, Vitamin C (Magnesium Ascorbyl Phosphate), Hyaluronic Acid. Apply liberally & evenly on the face, Neck and exposed area of the skin 20-30 minutes before sun exposure. 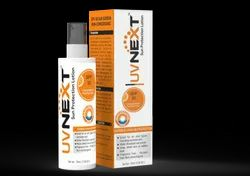 Reapply every 2 hours after continuous Sun exposure, swimming or excessive perspiration. 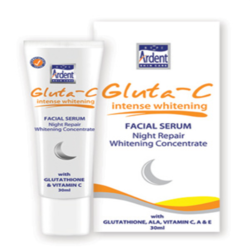 •Correct the prevalence of pigmentation, blemishes, freckles & patchiness. •extremely effective in removing stretch marks. 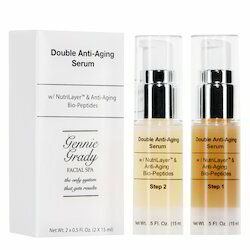 •Papaya extracts and Bakuohi herb, it leaves your skin looking gorgeous..
•This herbal serum penetrates deep into the affected skin layers and repairs the damaged tissues from within •papaya extracts and Bakuohi herb, it leaves your skin looking gorgeous..
Concern: minimizes the appearance of deep wrinkles, reduces age spots and boosts hyaluronic acid production. 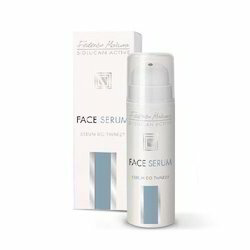 •Meadowfoam Estolide, Crambe Abyssinica Seed Oil, Carthamus Tinctorius (Safflower) Seed Oil, Olea Europaea (Olive) Oil, Ascorbic Acid, Glycyrrhiza Glabra (Licorice) Root Extract, Arginine peptide, Resveratrol, Retinyl Palmitate, Retinol, Palmitoyl Tripeptide-1 (and) Palmitoyl Tetrapeptide-7, sodium hyaluronate. •Daucus Carota Sativa (Carrot) Seed Extract, Carica Papaya (Papaya) Fruit Extract, Manjistha (Rubia Cordifolia) Extract, Arctostaphylos Uva-ursi Leaf Extract, Humulus Lupulus (Hops) Extract, Rose water, base Q.S. •It has a liposomal preparation of phyto-herbal, phyto-nutrient which inhibits pigmentation by targeting the melanin.